The requirement to write for other students seems to trigger a directness and clarity that you often don’t get when the same content is written for the teacher. 2. 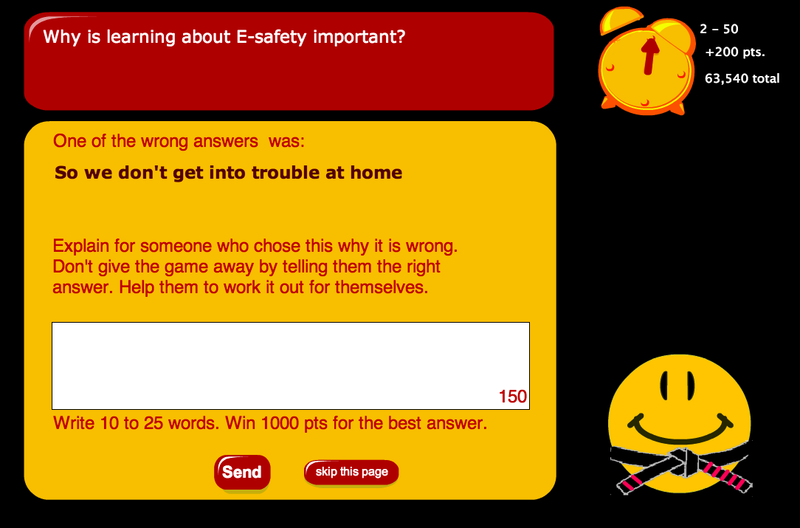 Very weak and inappropriate answers are filtered out by the software, then the peer feedback statements are presented to in sets of three, linked to the specific answer they chose. 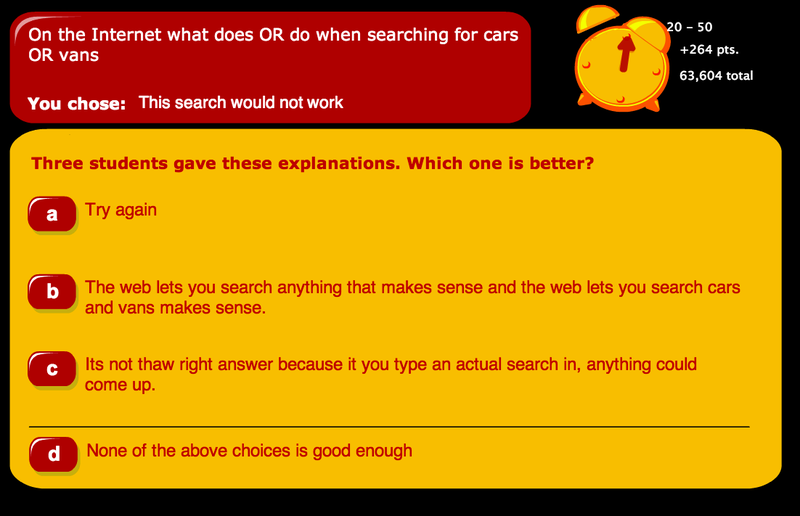 This only happens on questions where we have gathered enough feedback statements. Each action wins the student motivation points which can go towards a better avatar, or even a real-world prize. They don’t currently count towards the final grade from the quiz. The process is continuous. When a new formative feedback statements are submitted, the weakest old statement is ‘voted off’ to make space for the newcomer. The statements just get better and better over time. I have been monitoring the results of this closely, and I am chuffed to bits with how well it is going. The quality of statements written ranges, as you would expect, from the blitheringly chaotic to the truly sublime. Students are in general better than many teachers at writing statements that are genuinely formative, rather than trying to spoon-feed their peers with the right answer. The algorithmic filters successfully catch 99% of the silly responses. More importantly, students turn out to be extremely reliable in selecting feedback statements that are succinct and appropriate. I have yet to see a wholly incorrect statement win a round. We still have plenty of work to do, adding support for more question types and variants. There is also the question of how to report the results of this work in terms of grades. And I would love to design an experiment that tested how much formative feedback actually boosts results when it comes to exam time. If you have feedback on how well peer formative feedback is (or isn’t) working in your school, please let me know in the comments. This entry was posted in Yacapaca and tagged formative feedback, peer assessment, SPA. Bookmark the permalink. ← Peer-written formative feedback: this is how well it really works.